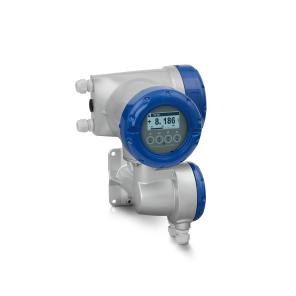 The OPTIFLUX 2300 is an electromagnetic flowmeter (EMF) for all demanding applications with water and wastewater. The high-end meter is particularly suitable for applications requiring high accuracy and extensive diagnostics. The EMF has the widest diameter range available in the market (DN25...3000 / 1...120") and complies with requirements for custody transfer (MID MI-001, OIML R49). It also has a wide range of approvals for potable water. 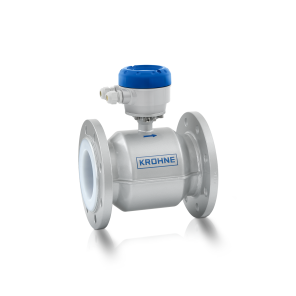 This makes the OPTIFLUX 2300 an effective alternative to mechanical water meters, not least in custody transfer measurement of potable water. The OPTIFLUX 2300 features a patented “virtual reference” option, allowing for a measuring mode even without additional grounding rings. This enables substantial cost savings in terms of installation and procurement. 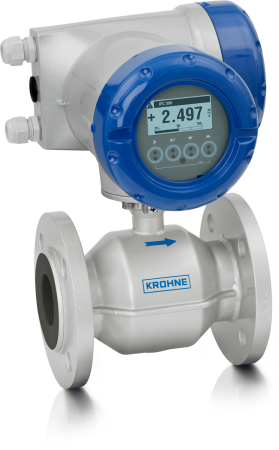 Installation in measurement chambers subject to (constant) flooding is possible with the IP68 / NEMA 6P rated version. The OPTIFLUX 2300 offers various digital communication options. 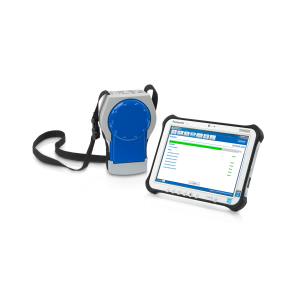 A full on-site verification of the EMF without process interruption can be carried out using the OPTICHECK service tool. Meets potable water standards: ACS, DVGW, NSF, TZW, WRAS etc. Industrial wastewater collection, treatment and return flows, industrial wastewater collection, treatment and return flows, ballast water, injection water, etc.